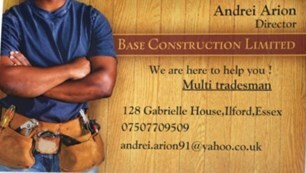 Base Construction Ltd - Bathrooms, Home Improvements based in Ilford, Essex. Base construction is an honest business.We are dedicated to providing optimum quality workmanship on every single job we undertake. bathroom refurbisment, and most of the jobs our clients need!